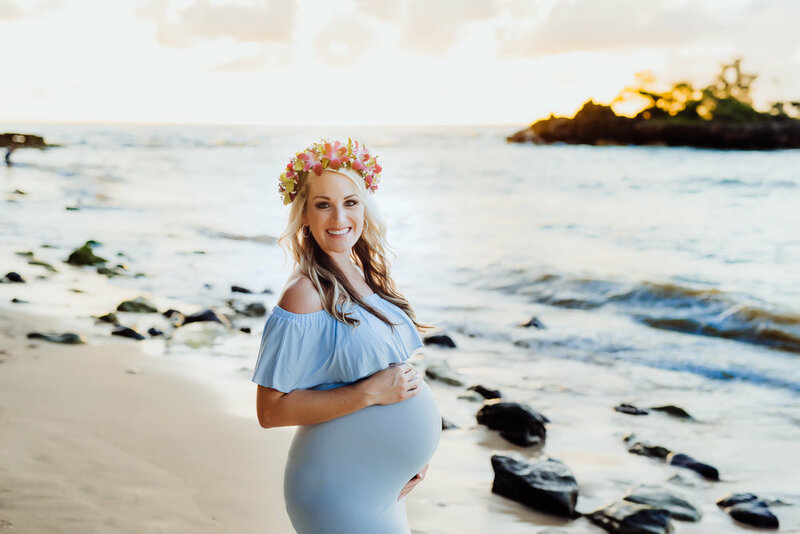 Stadler- Sunset Hawaiian Family Photos!! When you love what you do, is it really called work? The answer is No! I'm so lucky to call Hawaii my home! i had the opportunity to participate in Dreaming in Color and was able to capture so many amazing images. This sunrise session was a absolute dream. This pretty mama and her husband spend so much time chasing waves and I bet their baby boy will follow along right in their sand prints! It was so fun to incorporate what they love and has some meaning to them. Thank you Stormy for a awesome couple of days! Being a Oahu Hawaii Photographer has truly become a dream. Every session I shoot I put my heart into to capture beautiful, priceless memories.